Prince Henry as a young child. 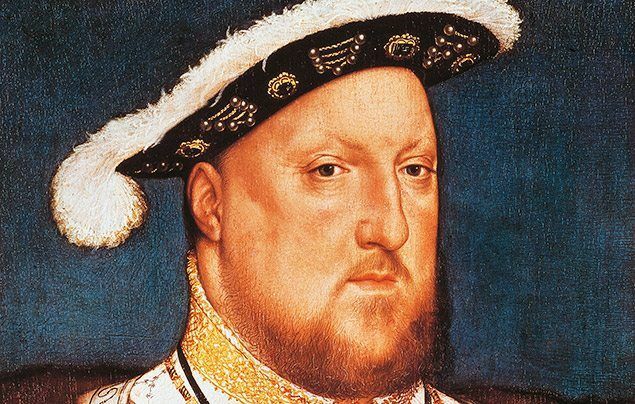 Henry VIII was King of England and Ireland from 21 April 1509 until 28 January 1547, and is perhaps one of the most famous monarchs in English history. Born on 28 June 1491 at Greenwich Palace in London, Henry was the second eldest son to Henry VII and Elizabeth of York. The young prince was never expected to become king, but when his older brother, Arthur, Prince of Wales, died unexpectedly at the age of 15, Henry became heir to the throne. 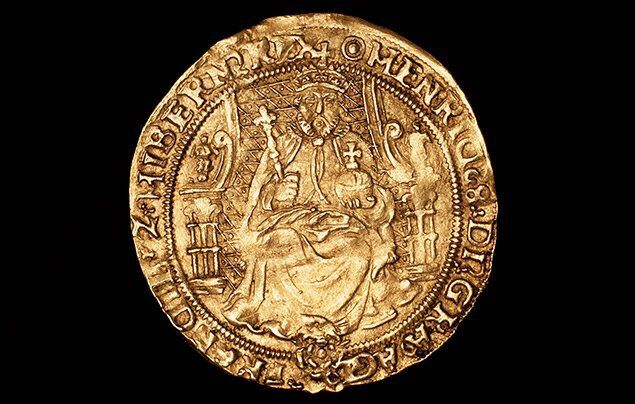 Upon the death of his father, Henry was coronated on 24 June 1509 — he was just 17 years old. He immediately set about marrying his elder brother’s widow, Catherine of Aragon. Henry hired some of Europe’s finest craftsmen and gardeners to transform Hampton Court into a sumptuous palace. The young King Henry was said to be handsome, clever and fun in contrast to his boring father. He was over six feet tall and loved jousting, hunting, composing music and throwing big, expensive parties! He loved spending money. The Tudor era was a time of great change, new ideas were emerging about science, art, design and culture, and great sailing expeditions uncovered new lands. Henry wanted to show off all his wealth and built many magnificent palaces — like Hampton Court Palace — and castles that would impress his subjects and rivals. But, in his later years, all that indulgence took its toll on his physical health. 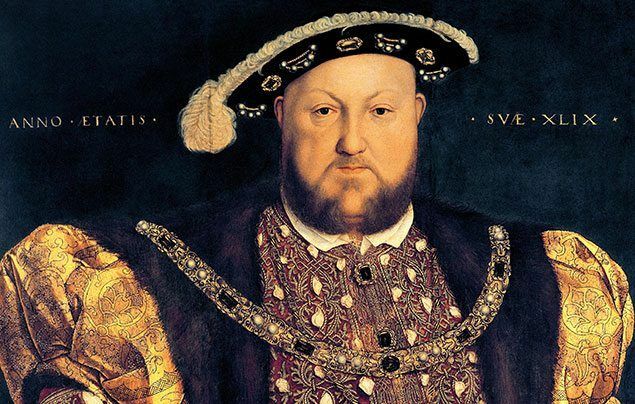 The older King Henry was hugely overweight and struggled to walk. At the age of 50 he had a 54-inch (137cm) waist! He also suffered from a gruesome ulcer on his leg that caused him constant pain — which may have explained his bad temper! Henry is known for being a ruthless King who ruled with an iron fist. Strong-willed and bullish, he handed out executions to anyone who stood in his way. In fact, during his 38-year reign, it is said he had more than 70,000 people executed — yikes! Here, Cardinal Wolsey; the man tasked with convincing the Pope to grant Henry VIII’s first divorce, discusses the divorce with Sir Thomas More. Wolsey (dressed in red robes), was unsuccessful and later arrested for treason. One of the biggest changes that Henry brought about during his reign was the English Reformation. After 24 years of marriage, his first wife, Catherine, had failed to give Henry a male heir. Frustrated, he went to the Pope to ask for a divorce, but the Pope wouldn’t allow it. Unhappy, Henry took matters into his own hands. He broke away from the Catholic Church, creating his own Church of England and naming himself the head. He appointed his friend Thomas Cranmer as Archbishop of Canterbury, and made him grant a divorce — easy! Thus ended the first (there were to be many more!) of Henry’s marriages. The religious reform caused widespread divide in England, with many people disliking the new church. Followers of the new church were known as protestants, whereas worshippers of the Roman Catholic Church were called Catholics. There was often tension and clashes between the two groups — an unrest that would last for many years. Henry’s actions were revolutionary because they changed the identity of English religion. If it weren’t for Henry’s desperate desire for a male heir, the reformation may never have happened, and English religion could have been very different today. 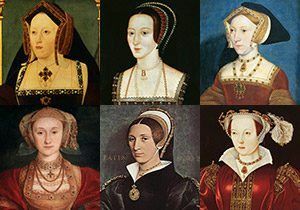 Left to right: Catherine of Aragon, Anne Boleyn, Jane Seymour, Anne of Cleves, Kathryn Howard, Catherine Parr. 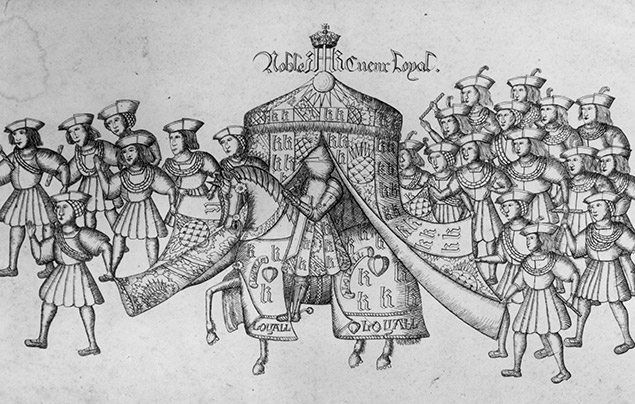 Perhaps one of the most well-publicised parts of Henry’s life was his many wives – six in total! Read more about them in our fab feature, the wives of King Henry VIII. Henry was desperate for a male heir to inherit his throne. There were many pregnancies, but only three of his children survived infancy. Henry’s first wife, Catherine of Aragon, had many pregnancies but unfortunately most ended in stillbirths. The royal couple were thrilled when their first-born son, Henry, was born in 1511. A lavish party was thrown, but sadly he only lived until he was seven weeks old. The only surviving child from Henry and Catherine of Aragon’s marriage was a daughter – born in 1516 – who they named Mary. 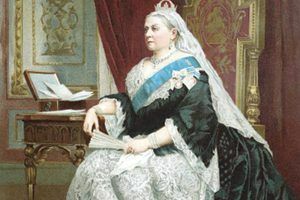 Once Catherine was no longer Queen, she was forbidden from seeing or communicating with her daughter, although they sent each other secret letters until Catherine’s death. Mary later went on to become Mary I, the first Queen of England and Ireland (ruling in her own right). Henry’s next child, born during his marriage to Anne Boleyn, was a baby girl, Elizabeth, whom they named after Henry’s mother. Elizabeth was a healthy baby but after Henry had Anne executed (awkward! ), he had little to do with Elizabeth’s upbringing. In 1537, Henry’s dream of a son finally came true when his third wife, Jane Seymour, gave birth to Prince Edward. 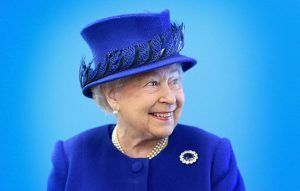 The celebrations didn’t last long however, as less than two weeks later, the Queen died due to complications from the birth. No children came from his next three marriages. 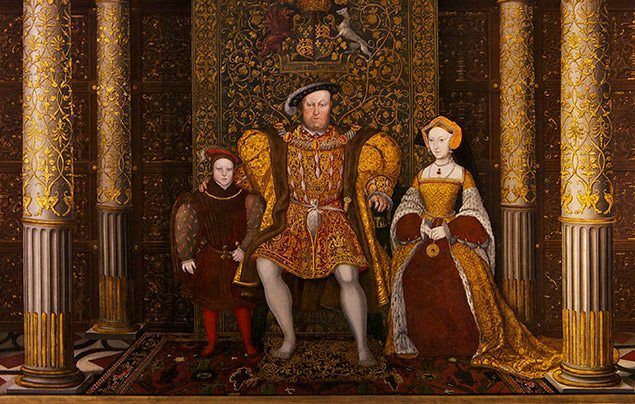 King Henry with his son Edward and third wife, Jane Seymour. 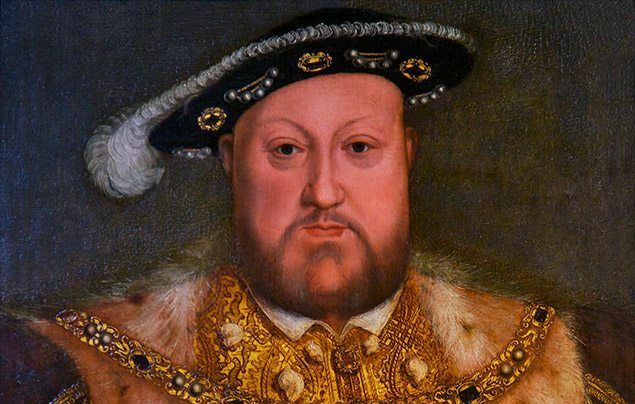 Henry died in 1547 at the age of 55, obese and riddled with health issues. 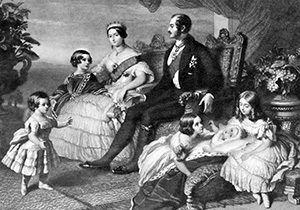 He was buried in St. George’s Chapel in Windsor Castle next to his third wife and mother to his only surviving son, Jane. Upon his death, the son that Henry had so desperately wanted inherited the throne as Edward VI. He was just nine years old! What is Henry VIII remembered for? Henry is often remembered as a fierce King who loved eating, drinking and partying, with a fancy for chopping people’s heads off! But he is also seen as a great symbol of our monarchy. He was a controversial King who made many scandalous and significant changes during his rule. He changed the face of Christianity and his influence can still be seen in England today. Three of his children went on to rule England after him, and ironically, after his desperate pursuit of a male heir, it was his daughter Elizabeth who went on to become one of the greatest monarchs in English history, Elizabeth I. What do you think of our Henry VIII facts? Let us know what you think by leaving a comment, below! He executed people to marry others? Weird! WE LEARNED ABOUT HIM IN SCHOOL!!!!!!!!!!! !